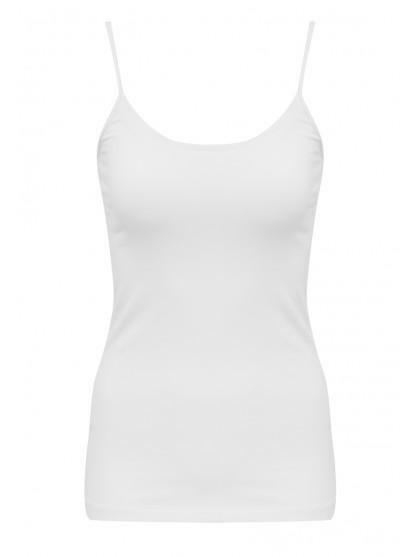 This ladies camisole top is an essential wardrobe staple. Great for layering under jumpers or wearing under blazers, this ladies top is the perfect addition to your wardrobe this Spring. Ideal for layering and whether you are wearing it on cold winter days under a shirt or jumper for keeping warm, or wearing on its own under a jacket for a classic look - it will become one of your wardrobe must haves. Perfect cosy Cami Vests...swiftly delivered. Good fit, delivery ? As they did not phone to say the items are available for pickup. Tops came quickly and in good condition. All were on hangers and that is very useful too. Great quality summer vests, easy to order, good communication. 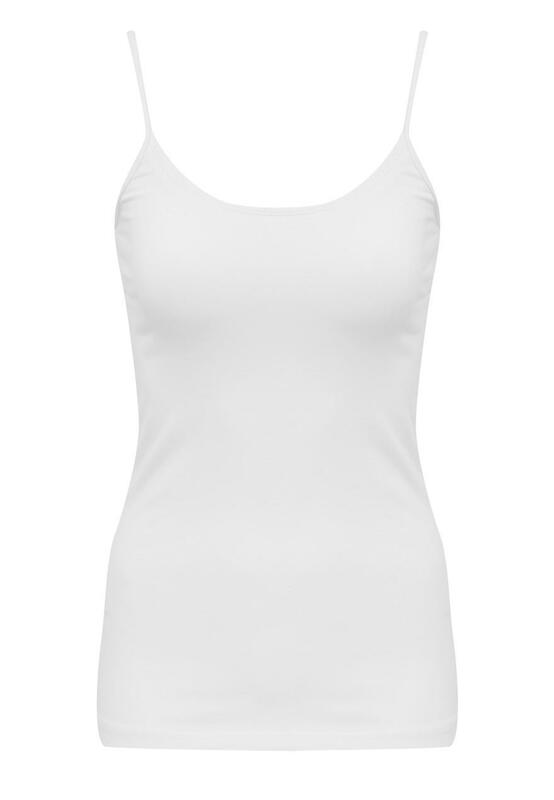 Simple, standard decent white cami! My only complaint is they're long-ish and not everyone can pull those off. I still wear it. The 'fit' was good (ordering online etc.) but would prefer them to be a bit shorter (I'm not exactly 'shorrt'). Great item & fits perfect.